The sixteenth edition of the Guangzhou Auto Show kicked off on the 16th of November 2016. Guangzhou is home to established brands such as GAC, named after the city and start-ups such as Thunder Power. Apart from the Beijing and Shanghai Auto Shows, the Guangzhou Auto show is one of the top 3 auto shows in China. 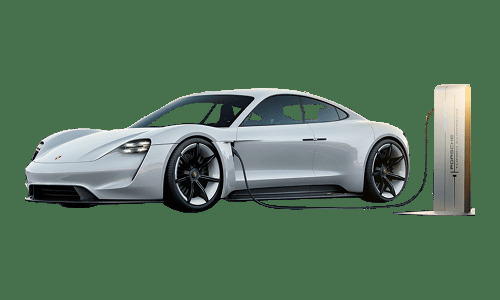 Every year the electric vehicle component gets bigger and bigger, and the show is used by many brands to launch new models for the next calendar year. I have compiled a list of most of the electric cars at this year’s event. 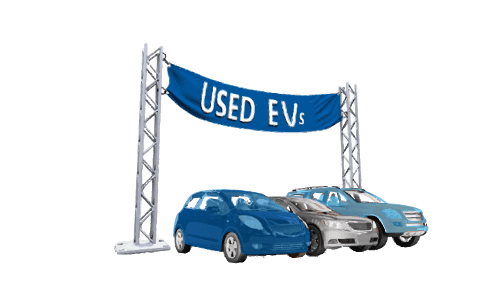 For detailed specs and further images, please click on the images of the EV which will link through to the dedicated page of that specific vehicle. Want to look back to last years event and see how the market has improved? 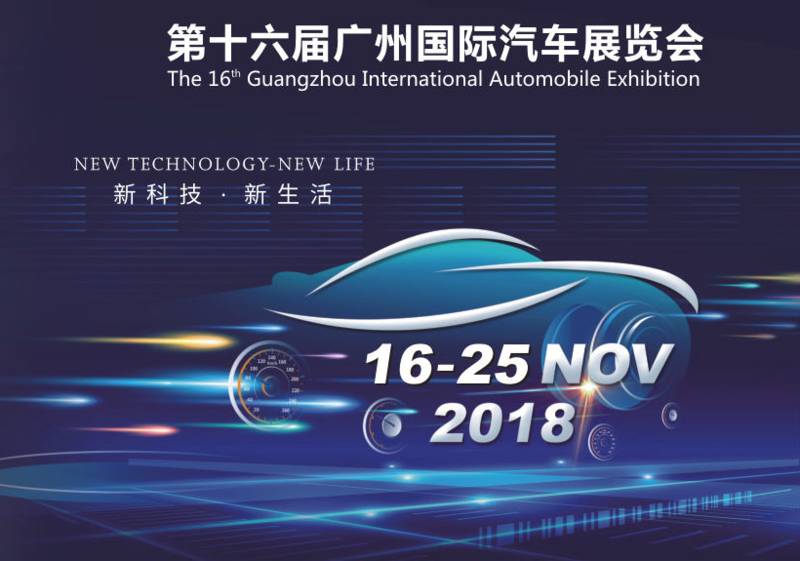 For a list of EVs at the Guangzhou Auto Show 2017 go here. 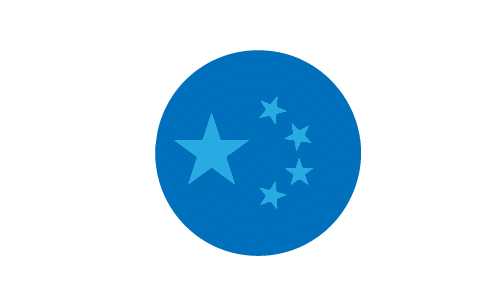 In this report, I will not dwell on international EVs such as the I-Pace and BMW i8 Roadster which were all present at this year’s show but primarily focus on local Chinese brands. BAIC BJEV launched the upgraded edition of the Arcfox Lite first introduced at the end of 2017. Although I expected a lot from the Arcfox Lite only around 580 units have been sold to date. The new Lite is now available in a multi-color design allowing buyers to choose the color of the roof and an increased range exceeding 300km / 188miles (NEDC). The 2019 Arcfox Lite is also more efficient than the earlier model and has a slighter larger electric motor giving it a bump in its top speed. The 40kW max power electric motor provides a torque of 140N.m and provides a top speed of 120km/h (75mph). The energy efficiency is 12.1 kWh/100km and the battery pack consists of a 143 Wh/kg NCM battery. 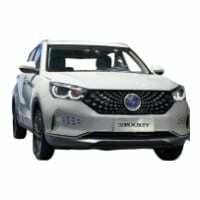 BAIC showed the production version of the BAIC BJEV EX5 EV SUV first introduced earlier the year in Beijing at this years Guangzhou Auto Show. 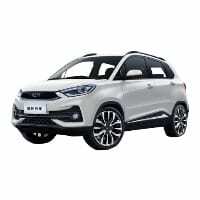 The BAIC EX5 compact SUV is available January 2019 and has an NEDC range of 350km (219miles). 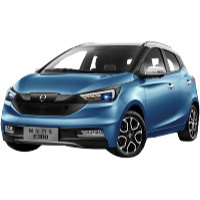 The dynamically styled BAIC EX5 is equipped with a permanent magnet synchronous motor with a maximum power of 160 kW and an NCM lithium battery pack. BAIC first introduced the 407 electric LDV at the Beijing Auto Show, this time around the BAIC 407 light electric delivery vehicle comes back as a production-ready model with a sufficient range of 200km for daily city deliveries. The 43kWh battery of the 407 can be fast charged to 80% in 50 minutes. 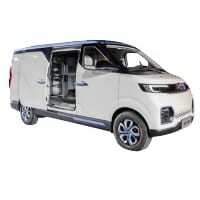 The cargo space of the BAIC 407 EV LDV is 4.5 cubic meters (159 cubic feet). 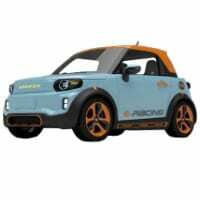 The drivetrain consists of a front and rear electric motor propelling the vehicle to a top speed of 80km/h (50mph). 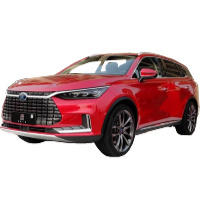 BYD launched a 5 seat version of the best selling Tang DM 7-seater SUV. 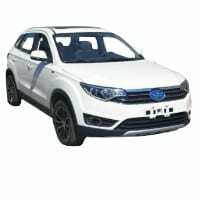 The BYD Tang DM 5-seater is available in two trims ranging in price from ¥254,900 to ¥274,900 after subsidies. 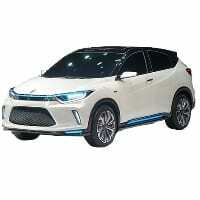 The 5-seat Tang plug-in hybrid electric SUV has a 2.0T turbocharged petrol engine with a maximum power of 151kW and a peak torque of 320Nm. With the support of dual electric motors, the plug-in hybrid drivetrain has a maximum system power of more than 367kW and an acceleration time of only 4.5s from zero to 100km/h. BYD officially unveiled the production version of the Song MAX DM MPV at this year’s event. The Song Max plug-in EV is based on the petrol version released late 2017. The Song MAX DM has a 1.5T turbocharged combustion engine and dual 110kW electric motors on the front and rear axels to deliver a maximum total system output of 333kW delivering a combined torque of 740Nm. Changan opened its books for pre-orders of its new pure electric microcar, the Niou II EV. The Changan Niou II is available in three trims and priced after subsidy between ¥44,800 and ¥56,800. The Niou II A00 class EV has a length of 2770mm / 109.0 inches which can seat two people and travel 205km / 128 miles on the NEDC test cycle. The 21kWh battery can be fast charged to 80% in 30 minutes or fully charged in 8 hours using a 220V plug. The drivetrain of the Niou II EV consists of a 30kW max power electric motor and it can reach a top speed of 100km/h / 62mph. Changan unveiled the Changan Eado ET pure electric hatch which is based on the fuel version the Eado XT. The Eado ET is equipped with a 53kWh battery providing a range of over 400km / 250 miles. The drivetrain consists of an electric motor with a maximum power output of 100kW / 134hp. Dongfeng Yueda KIA showcased the KX3 EV SUV launched earlier this month. 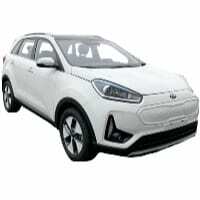 The KIA KX3 compact SUV is available in one trim only at an MSRP of ¥239,800 which is ¥147,300 after incentives. The KX3 EV is equipped with an electric motor which produces a maximum power of 81kW and has a battery electric range of 300km (188miles) on the NEDC cycle. From a design perspective, the KX3 is hardly different from the fuel version. 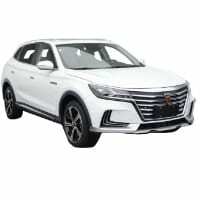 FAW officially unveiled the Besturn X40 EV SUV with a range of 310km (194mils) on the NEDC test cycle. 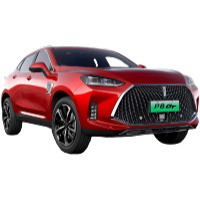 Based on the fuel version the Besturn X40 EV is identified through the blue edge elements in the front grille, front surround, rims, and interior. The body size of the battery electric X40 has also slightly different dimensions than the fuel version. 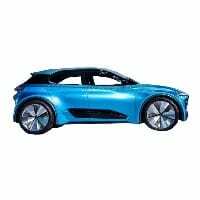 The electric motor of the X40 EV is permanent magnet synchro type producing a maximum power of 140kW and maximum torque of 320N·m reaching a top speed of 160km/h (100 mph). The energy efficiency of the X40 EV is 16.7. kW.h/100km and is equipped with a 52.5kWh NCM lithium battery. The WEY P8 GT plug-in EV SUV unveiled at the Guangzhou Auto Show on the 16th of November 2018 is slightly larger than the WEY P8 PHEV. WEY have also changed the regenerative braking system on the WEY P8 GT from RBS to CRBS. The P8 GT is equipped with an IACC (Adaptive Cruise System that recognizes the current environment) system, a single-lane system, vehicle anti-collision warning system, and an emergency lane keeping system. Great Wall Motor’s new EV brand ORA showcased the pure electric iQ5 SUV. The iQ5 EV is available in two trims ranging between ¥92,800 and ¥108,800 after subsidies. The high-end model received a range increase to 401km (251 miles) up from the initial 360km (225 miles). The first response to the iQ5 has been positive with nearly 1,500 sales in the first two months since its listing in September 2018. The ORA brand of GWM plans to develop electric vehicles for its R and Q ranges based on its ME platform. The iQ above being the first and the R1 it’s second offering shortly after the launch of the brand in 2018. The release date for the ORA R1 is set for January 2019 with the company previously announcing the opening of pre-orders on the 16th of December. ORA set the post-subsidy price range for the ORA R1 at the Guangzhou Auto Show at ¥68,100 and ¥75,800 for the 310km and 350km versions. The ORA R1 is 10% lighter than its peers due to the use of modern lightweight materials, resulting in a curb weight of only 990kg allowing it to achieve ranges as far as 350km on a single charge. The ORA R1’s design is based on a long wheelbase and short body providing a large interior space. GAC unveiled its latest EV the Aion S compact electric sedan at this year’s show. 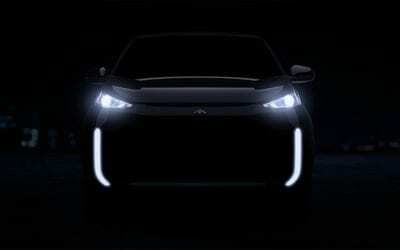 The GAC Aion S EV, first known as the A26 is available from May 2019 and promises an NEDC range of over 500km (313miles). The Aion S has a wheelbase of 2732mm (107.0 inches). The Aion S employes Advanced Driving Assistance in the form of TJA traffic assist, ICA cruise assist, and APA automatic parking assist depending on the trim. 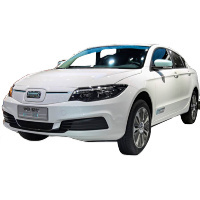 Hozon New Energy launched its first electric vehicle at the 2018 Guangzhou Auto Show, the Neta 01. The Neta 01 is available in four trims namely the 380v, 380e, 380i and 380s. The manufacturers suggested retail price range between ¥126,800 to ¥136,800 which is ¥59,800 to ¥69,800 after national subsidies. The Neta 01 has a maximum power of 55kW and can accelerate from zero to 50km/h in just 4.9 seconds. The Neta 01 EV uses battery packs from CATL (35.5kWh) and Jiewei Power (36.21kWh) which provides a range of 302km (188 miles) on the NEDC cycle. The interior design is basic with a 10.1 LCD screen. 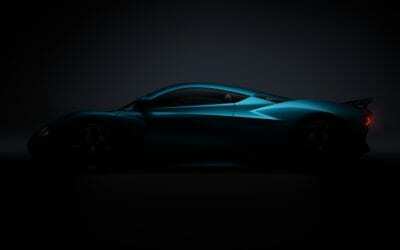 The Hozon Neta 03 is based on the Eureka 01 Concept EV and will be listed in the fourth quarter of 2019. 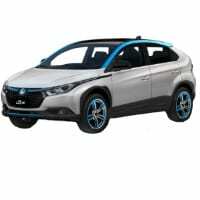 Hozon bills the Neta 03 as a “boutique intelligent pure electric crossover SUV” due in part to its self-driving level of 2.5 according to the SAE scale. The Neta 03 has a battery electric driving range of over 400km (250 miles). The Neta 03 is dynamically styled and has a noticeable exaggerated front air intake. The cockpit layout is luxurious and centers around a 25-inch LCD screen and an 8-inch multi-function touchscreen. The AI drivers assistant is called “Little You”. The Advanced driving assistance offered by the Level 2.5 autonomous drive system includes 20 world-leading automatic driving systems such as APA one-button automatic parking, TJA traffic congestion assistance, AEB emergency braking, ACC full-speed adaptive cruise, etc. and is aided by 18 sensors and radars. A 4WD and 2WD version will be available with battery energy density of 160 and 180 Wh/kg, a maximum power of 200 and 250 kW and a maximum torque of 525 and 615 Nm. The 4WD model can accelerate to 100km in only 4.9s, while the two-drive version in 8.5 seconds. Honda opened its books for pre-orders of its first EV in China, the Everus VE1 Sport EV which has an MSRP of ¥225,800 and sell for ¥168,800 after subsidies. The Honda VE1 Sport EV has an electric motor producing a maximum power of 120kW and can travel a distance of 340km (213miles) from its 54kWh battery pack. The Everus package includes a panoramic sunroof, LED headlights, rear camera, reversing radar, exterior mirrors with side turn signals and daytime running lights. The VE1’s rear taillight cover is blue to highlight its electric identity. Han Teng officially unveiled the “Happiness” e+ EV at the 2018 Guangzhou Auto Show. The drivetrain of the e+ consist of a 42kW max power permanent magnet synchronous drive electric motor with a peak torque of 180N.m. The Han Teng e+ is available in two trims and a range of 300km. 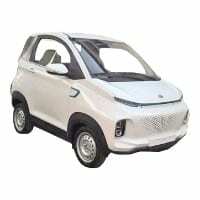 Unlike the Han Teng X5 and X7 which are reconfigured combustion vehicle, the Happiness e+ is the automakers first EV based on its electric platform. Han Teng showcased the X5 EV which have sold around 1,300 units since it was first launched in May 2018. 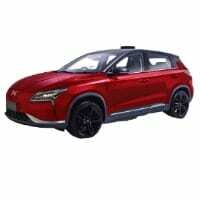 The Han Teng X5 compact electric SUV is available in two trims with an MSRP ranging between ¥189,800 and ¥199,800 and ¥109,800 to ¥119,800 after subsidy. 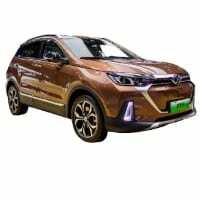 The Han Teng X5 EV is based on the petrol version of the car but the appearance has a very obvious new energy style and is targeted at the younger buyer. The interior of the hexagonal grille features a dot matrix design with blue elements to accentuate its new energy characteristics. The interior of the EV adopts the same layout as the petrol version. The control area is decorated with wood-grain decorative panels, chrome trim strips and suspended LCD screens to enhance the overall feel of the vehicle. The drivetrain of the X5 EV consists of a permanent magnet synchronous motor with a maximum power of 95kW and a peak torque of 260Nm and a battery pack with a capacity of 129Ah. The JMC New Energy sub-brand EVEasy unveiled its latest offering, the JMC E300 A0 class EV with an NEDC cycle range of 252km (158miles). The JMC E300 has a double waistline design and three color paintwork. The instrument panel uses a HUD display and the 8-inch central touchscreen displays other vehicle information. 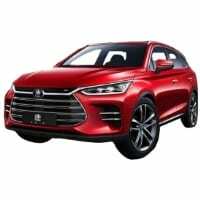 The Taiwanese manufacturer unveiled its first compact electric SUV, the Luxgen Yulon U5 EV at the 2018 Guangzhou Auto Show. The Luxgen Yulon U5EV has an NEDC range of 320km (200miles) with energy consumption of 15.6 kWh/100km. The drivetrain of the U5 EV SUV consists of a 130kW electric motor propelling the compact SUV to a top speed of 150km/h (94mph). NIO showed the NIO ES8 with six seat layout at this years Guangzhou Auto Show. The 6-seating NIO ES8 is available from the first half of 2019. 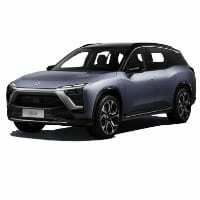 Pre-orders for the NIO ES8 six-seater is open as the NIO ES8 founders-edition with a seven-seat configuration is sold out already. The difference between the two vehicles is mainly in the second row, which now seats only two, but maintain the Nappa leather styling. The ES8 is available in 7 body colors. The central control screen is divided into three layers. The leftmost page controls the window, door lock, and main and passenger driving functions. The middle page controls navigation, music and weather conditions. The rightmost page displays the vehicle status and Bluetooth. Connections, videos, etc. 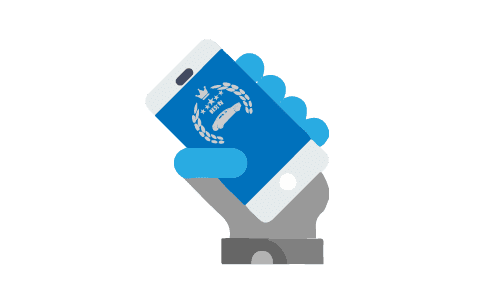 The Siri like NOMI system is activated in the same way, and by doing so, NOMI can decern between four voices and set the seating adjustment accordingly in the front and back. 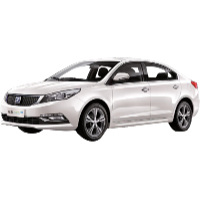 Qoros first unveiled the Qoros 3 EV in 2016 with the intent to bring it to market in 2017 but due to financial issues and a changing of shareholders such plans were delayed. This week Qoros finally officially unveiled a production-ready model, the Qoros 3 EV500, and is based on the fuel version of the model, with a cruising range of 450km at a 60km/h constant speed. 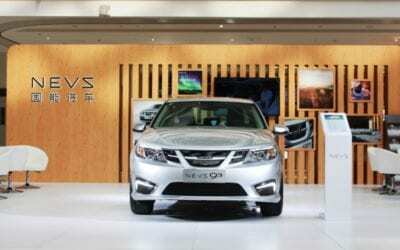 Qoros plans to launch between one and two electric vehicles per year from 2019. Qiantu showcased the K50 pure electric sports car at the Guangzhou Auto Show. 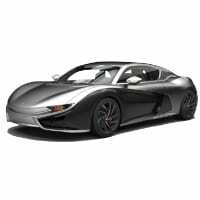 The K50 can accelerate to 100km/h in 4.6 sec and get 380km / 238mile out of its 79kWh NCM battery which equates to an energy consumption of 19.9kWh per 100km. The K50 production version is much longer than the concept introduced in 2016. The body is entirely made of a modern composite material, which consists of an all-aluminum frame and a carbon fiber shell and only weighs 234kg. The interior of the Qiantu K50 is equipped with 15.6-inch central control and floating LCD instrument panel. 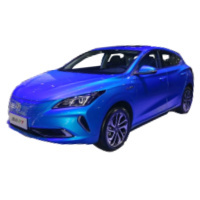 The car features a “V2V vehicle communication” system which connects with other Qiantu models in a specific range, allowing for Advanced Driving Assistance functionalities, such as front collision warning, emergency braking warning, traffic congestion warning, and lane change, etc. VW and its Chinese JV partner SAIC launched the VW Passat 430 PHEV on the 31st of October 2018 and showcased it at this year’s event in Guangzhou. The Passat 430 plug-in model is available in two trims from an available nine including the fuel versions. The MSRP for the SAIC VW Passat 430 PHEV is between ¥249,900 and ¥259,900. 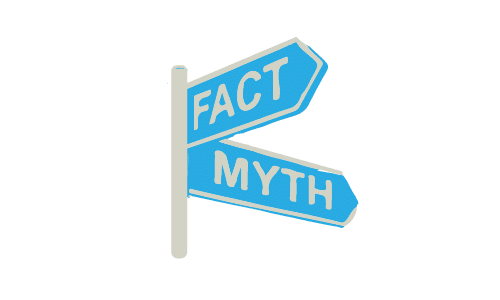 The Passat 430 plug-in electric sedan has a total system output of 155kW and maximum torque of 400N.m allowing it to accelerate to 100km/h in 7.8 seconds. 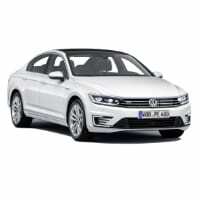 The Chinese version of the Passat GTE has a battery electric range of 63km (40miles)and extended range of 1043km (652miles). SAIC MG unveiled the pure electric version of the MG ZS compact SUV. 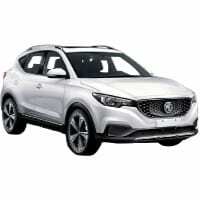 The MG ZS EV has a range of 428km (268 miles) on the NEDC test cycle and is equipped with a drive train powered by an electric motor with a maximum power of 110kW. From a design standpoint, the only noticeable differences from the combustion version are the letter “E” denoting its electric status and having a ground clearance of 4mm less than the ZS. Internally the most obvious difference is the knob shifting mode. SAIC Showcased the Marvel X which have sold around 1200 units since its launch in August this year. 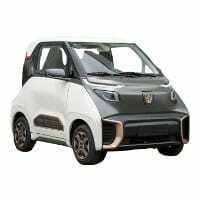 The SAIC Roewe MARVEL X share design elements with the Roewe Vision-E Concept car and is available in an all-wheel and rear wheel drive version. The Marvel X AWD has three electric motors and accelerates to 100km/h in 4.6 seconds while the rear-wheel drive only in 7.9 seconds. The drivetrain of the Marvel X rear wheel drive is equipped with a dual motor providing a maximum power of 137kW and peak torque of 400N.m. The Marvel X AWD generates 222kW maximum power and delivers a peak torque of 665N·m. 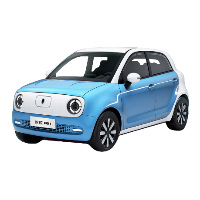 The SAIC/GM JV officially launched its new micro EV the Baojun E200 at the 2018 Guangzhou Auto Show. 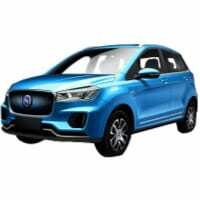 The Baojun E200 EV is available in two trims with an MSRP range of ¥108,000 to ¥118,000 and a post-subsidy price range of ¥49,800 to ¥59,800. The Baojun E200’s predecessor was once the cheapest EV in China but the title now goes to the Changan Niou II listed above. The Baojun E200 is available in five body color schemes and provides ample storage with eleven different compartments. 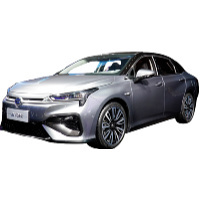 FAW Toyota opened its books to pre-orders for the Toyota Corolla Twin Engine E+ plug-in electric car, or Levin PHEV as it is better known in North America. 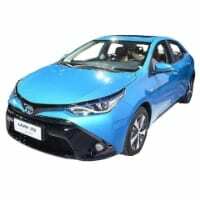 The Toyota Corolla PHEV is equipped with a 10kWh battery from Panasonic and delivers a range of 55km / 34 miles. 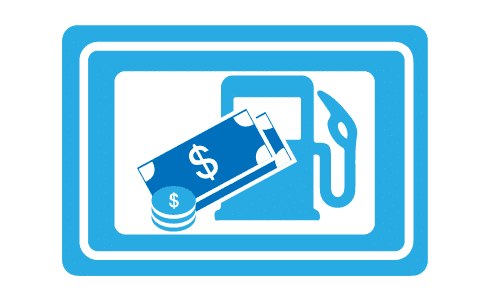 The Toyota Corolla E+ with is combined fuel consumption of 1.3L/100km is available from March 2019. Xpeng used the opportunity to showcase its much talked about G3 EV SUV in its home province. 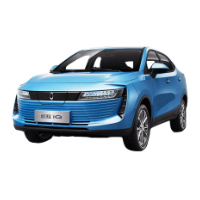 The Xpeng G3 EV SUV is available is currently on pre-order with the first delivery expected in December, the official listing is scheduled for the 12th of December. The Xpeng G3 is released in three versions with an MSRP range of ¥200,000 to ¥280,000. The design of the G3 includes a noticeable black canopy with oversized panoramic sun-roof. The interior is modern and luxurious, offering heated seating with six electronically adjustable settings for the driver and four on the passenger side. 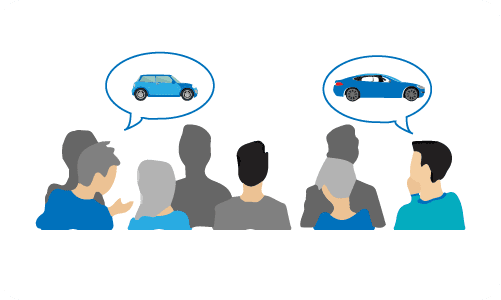 The G3 EV is packed with technology, and its Advanced Driving Assitance offers adaptive cruise control (ACC), lane centering assistance (LCS), adaptive cornering cruise (ATC), automatic speed limit adjustment, and automatic lane change assist to list a few. The intelligent vehicle system of the includes OTA upgrade and a 360-degree roof camera on the executive version. 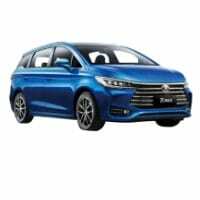 Zotye launched the Z500 Pro EV sedan in two models with an MSRP ranging between ¥199,900 and ¥211,900 with a post-subsidy price range of ¥113,900 to ¥125,900. Zotye gave the 2019 Z500 EV version a facelift and power upgrade. The Zotye Z500 EV has the latest matrix-design grill and a new style of rim. The interior of the Zoty Z500 sports a leather steering wheel and 12-inch LCD central control screen. 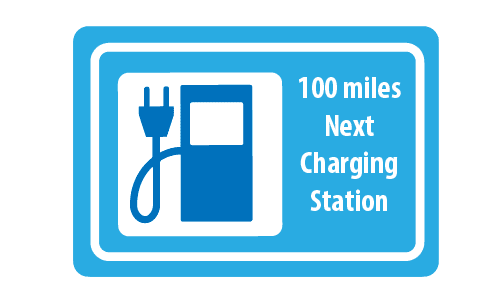 The battery pack allows for an NEDC range of 330km/206miles and can fast charge within 30 minutes to 80% while operating in an environment of -30 ° C to 50 ° C.